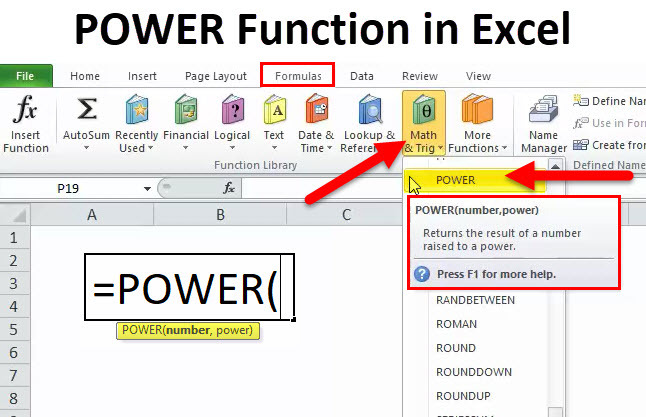 POWER in Excel (Formula, Examples) | How to Use POWER Function? 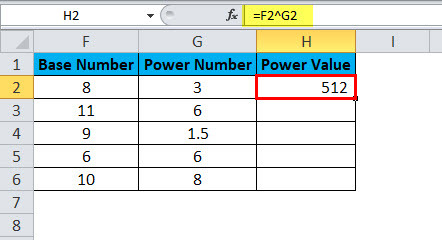 How to Use POWER Function in Excel? I still remember the days where my maths teacher used to beat me almost every day for not remembering SQUARE ROOT of numbers. I literally cried when maths period is on the way. There are many instances where I bunked the math class just to get away from those beatings from my maths teacher. Ok, now I need not to remember all those SQUARE ROOTS instead I can rely on beautiful function called POWER Function. POWER function helps in raising the number to another number of times to the power. For example: What is the value of 5 to the square of 3? The answer is 5*5*5 = 125. 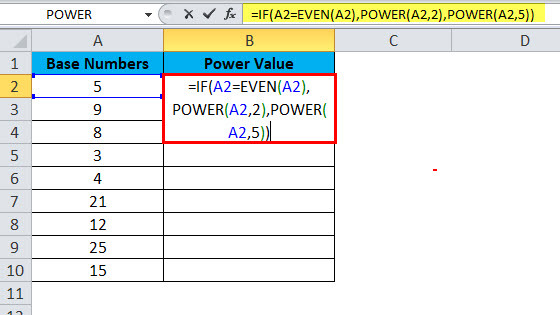 The Power Function includes two parameters and both are required arguments. Number: The number you need to raise the power i.e. the base number of any real number. Power: The number of times you need to raise the base number. It is the exponent to raise the base number. The symbol or operator ^ (caret operator) acts as an exponent. For example: 6^2 = 36. This is not 6 is multiplied by 2 rather 6 * 6 = 36. Six is multiplied by the six itself twice. 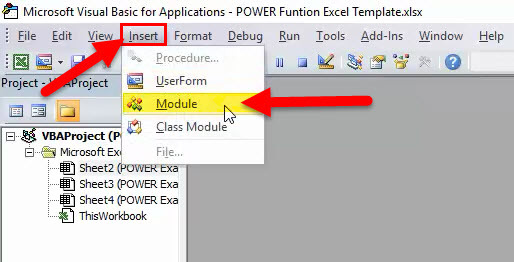 How to Use the POWER Function in Excel? This POWER function is very simple easy to use. Let us now see how to use the POWER Function with the help of some examples. Assume you have base numbers from A2:A6 and the power number (exponential numbers) from B2:B6. 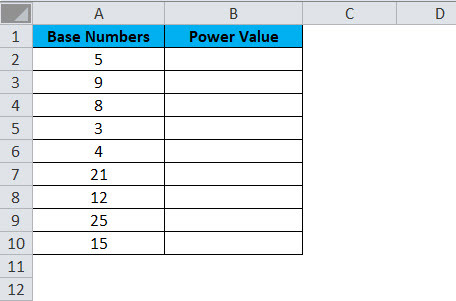 Show the power of values in column A by using power numbers in column B. 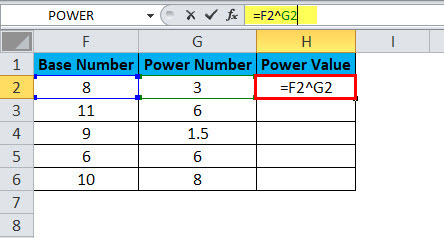 Drag and drop the formula to other cells. The first value is base number 8 is raised to the power number 3. i.e. 8 cube. =8*8*8 = 512. Secondly, base number 11 is raised to the power number 6 i.e. 11 is multiplied 6 times to the 11 itself. =11 * 11* 11* 11* 11* 11 = 17, 71,561. Similarly, all the values have resulted in that way. Use the same data from the above example. 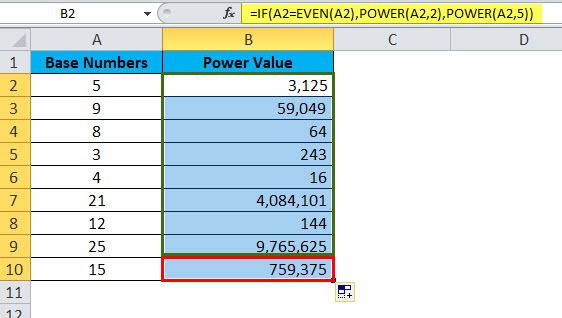 Instead, of using POWER Function we use caret operator (^) to do the calculation. The results will be the same though. Using POWER Function along with other functions. 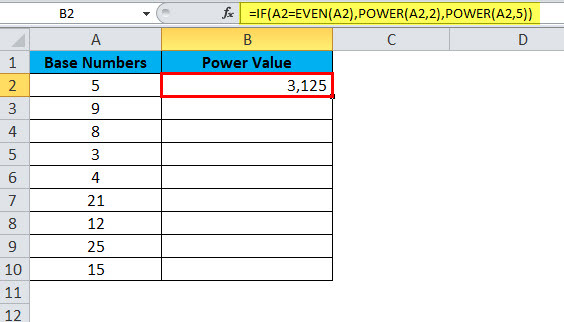 From the below data raise all the even numbers power by 2, if the number is not even then raise the power by 5. Here, first we need to test whether the number is even or not. If the number found even then raise the power by 2 if not raise the power by 5. This type of problem can be addressed by using IF condition to test whether the number is even or not. Apply formula in the cell B2. 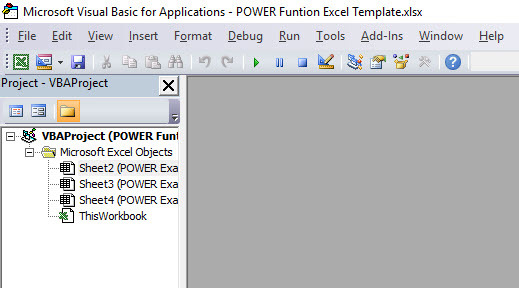 In VBA, also we can use POWER function. However, the thing is we do not get to see many of these live examples in our day-to-day life. Step 1: Open your VBA editor (ALT + F11). Step 3: Copy and paste the below code inside the new module. Now your window should look like the below one. If you run the code you will get the below result. For a better understanding, we can represent the power function in this way. POWER(X, Y) or POWER(X^Y) both are same only. 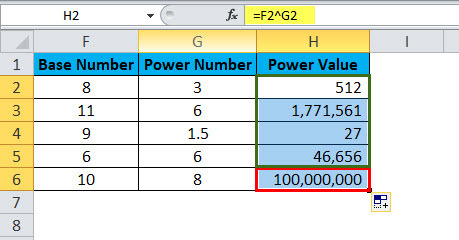 The POWER function is applied only for numerical values. Anything other than numerical values, it will throw the error as #VALUE! If any one of the parameters contains non-numerical values, we will get the error. Below image shows the example of the error. It will show an error.